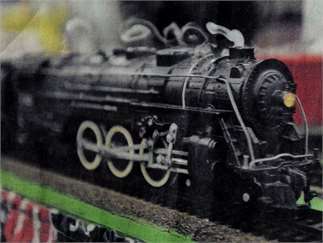 Come enjoy the thrills and action at the Treasure Valley Model Train Show, sponsored by the Boise Public Library! and the Rocky Mountain Hi-Railers. Four operating model railroad layouts in S-, O-, HO-, and N-scales. Hands-on children's display, vintage trains, information on all aspects of this exciting hobby. Three local clubs--the Rocky Mountain Hi-Railers, the Train Collectors Association, and the Caldwell Model Railroad Club--will represent Idaho by displaying these layouts at the National Train Show in Sandy, Utah, July 12-14, 2019. Here is your chance to preview Idaho's entries. FREE to kids from 1 to 101. Come blow the whistles! Smiles guaranteed!